Third party & supplier risk management software gathers and manages vendor risk data to protect companies from issues such as data breaches or noncompliance. This type of software assesses, monitors, and mitigates all risks that may have a negative impact on the relationship between a company and its suppliers. Third party & supplier risk management software is typically used by compliance officers or by managers from departments such as quality management, supply chain, or manufacturing. Compliance officers use third party & supplier risk management software to ensure compliance with internal policies and governmental regulations such as FFIEC, CFPB, or HIPAA. Department managers benefit from using this type of software as it helps reduce the risk of disruption caused by unreliable suppliers. A third party & supplier risk management tool is usually implemented as part of a broader governance, risk, and compliance initiative, but the software can also be delivered as a standalone product. When provided separately, third party & supplier risk management solutions need to integrate with other software tools such as supply chain suites, quality management software, ERP systems, and governance, risk, and compliance software. Third Party & Supplier Risk Management reviews by real, verified users. Find unbiased ratings on user satisfaction, features, and price based on the most reviews available anywhere. LogicGate enables enterprises to transform disorganized risk and compliance processes into easy to use applications with an intuitive user interface. The platform enables organizations to configure powerful yet pragmatic agile GRC workflows, logic, and rules to reduce their risk exposure and reduce costs associated with managing large compliance programs. 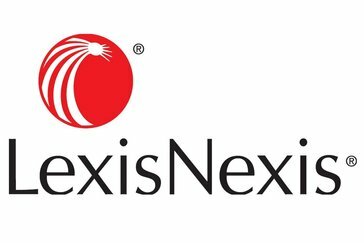 LexisNexis® Dossier Suite™ is a searchable reporting tool that provides in-depth information on more than 80M companies, 75 million executives and 1,000 industries. Backed by more than 100 years of combined information security expertise, VENDEFENSE was custom built and designed specifically for organizations that use third-party vendors. This vendor risk management tool eases the burden on program managers who are tasked with evaluating and managing vendors. Aravo delivers market-leading SaaS solutions for managing enterprise third party risk to help Global 2000 companies protect their brand, build customer trust and elevate business performance. Dow Jones Risk & Compliance is a global provider of third party risk management and regulatory compliance solutions. Working with clients across the globe, we have created products and services to help companies evaluate third party risks faster and with more confidence. Opus' Hiperos 3PM platform helps manage the risks, compliance and performance - optimizing the value of third party relationships. ProcessUnity's cloud-based solutions help organizations of all sizes automate their risk and compliance programs. 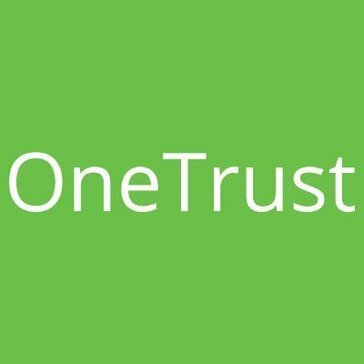 ThirdPartyTrust is the vendor risk management platform for companies to connect, assess and share relevant security documentation. Our solution helps information security teams perform vendor risk assessments faster and more accurately via automation and eliminating redundancies in the VRM process. You can collaborate on risk assessment questionnaires, collect SOC reports, and more. Using the ThirdPartyTrust solution you can scale your vendor risk management across all your vendors and simply. FISCAL's AP Forensics Enterprise Suite is a set of powerful tools that can be used by any finance professional to reduce overpayments, detect fraud and protect an organization's overall spend. The software has been designed specifically for P2P staff to run on a constant monitoring, daily or weekly basis, and works alongside any accounting or ERP system. Covers all aspects of the risk management process, ranging from initial risk identification, through risk assessment and evaluation to risk mitigation. The DOCUTRAX service facilitates risk transfer from your business to third-parties, such as vendors and contractors, through professional oversight of certificates of insurance (COIs) and other compliance-related documents. HICX helps the world's leading companies extract maximum value from their supplier relationships by turning the complexity of supplier management into a strategic advantage. IntegrityNext is a cloud-based platform that covers all major aspects of CSR and sustainability requirements, allowing companies to monitor thousands of suppliers with minimal administration. IntraStage allows real-time data capture of performance data from simple components to complex assemblies. Meercat Suite is a web-based software solution for firms wishing to implement state-of- the- art supplier auditing and supply chain risk management. The MetricStream Third-Party Management App enables a comprehensive process to identify, assess, mitigate, and monitor third-party risks, as well as to manage compliance. The app streamlines third-party information gathering, due diligence, onboarding, real-time monitoring, and risk and control assessments. MyComplianceOffice is a powerful software solution that automates compliance program activities and demonstrates an organization’s culture of compliance. Ncontracts® is a leading provider of risk and vendor management software and services. Prevalent's comprehensive third party risk management (TPRM) platform helps your organization proactively manage third party risk through understanding that "one size does not fit all". Our integrated suite of solutions includes automated assessment software, continuous threat monitoring, and innovative vendor evidence sharing networks. ResilienceONE enables vendor risk assessments to protect third-party relationships without the need for additional software. It allows to include outside vendors in recovery timeframe objectives (RTOs) based on potential impact, develops risk-mitigation measures using sophisticated, proprietary risk-modeling algorithms, identify associated processes and assets by risk, potential impact, priority, and relationship. An integrated, 360-degree approach to Third Party Risk Management. Through flexible workflows, deep integration to your existing systems, and powerful analytical dashboards, Resolver offers a clear view into every aspect of your third party relationships. The ongoing monitoring of vendor performance reduces the chance of risks going unseen, and ensures the appropriate stakeholders can take action to protect your organization from all types of third party risk. Everything you need for solid, reliable vendor risk analysis and management. Intuitive workflows guide you through categorization, assessment, issue tracking, notification, remediation and reporting. Rsam: Vendor Risk Management is a market leader and fastest time to value provider of governance, risk, and compliance (GRC) solutions. SecureWatch uses a survey-based process in which a series of questions are asked about an asset and a risk score is calculated based on responses. Additional metrics can be combined with the survey score to value the asset, rate likelihood and impact. Recommend action plans, assigns tasks to track and manage remediation based on survey results. See detailed information stating risk factors of each asset you assess and get notified of any non-compliance to your custom requirements and any relevant standards/regulations. SecurityScorecard helps enterprises gain operational command of their security posture and the security posture of their ecosystems through continuous, non-intrusive monitoring. The company’s approach to security focuses on identifying vulnerabilities from an outside-in perspective, the same way a hacker would. SecurityScorecard’s proprietary SaaS platform offers an unmatched breadth and depth of critical data points including a broad range of risk categories such as Web, Application Security, Patching Cadence, Network Security, Hacker Chatter, Social Engineering, and Leaked Credentials, DNS Health, Endpoint Security, IP Reputation and Cubit Score. Identify, score and manage cyber and business risks from the third parties that your organization relies on, connects to, and shares data with. Symfact is an international company with an industry leading software solution for document and process management. We focus to provide a single software platform to address the multiple domains of Contract and Compliance Management. Our software helps you deal with Governance, Risk and Compliance, thereby reducing risk and increasing efficiency and productivity. Advanced and flexible platform for aggregating your vendor data, automating your assessments and getting control over your vendor risk management process. With VendorXpert, third-party provider details can easily be monitored and tracked in a user-friendly Web-based environment that allows for rapid deployment and management of these crucial relationships. VendorXpert is a vendor management and compliance with integrated workflow reminders. Hi there! Can I help you find the best Third Party & Supplier Risk Management solutions?